Adderbury Parish Institute is a registered charity. Our mission is to provide facilities for local community activities. Our Management Committee has the role of data controller for the information we collect. Any personal data that we collect will only be in relation to the work we do with those hiring our hall and facilities and through our relationship with our supporters, donors and funders. 2. Personal data – what is it? Personal data relates to a living individual who can be identified from that data. Identification can be by the information alone or in conjunction with any other information in our possession or likely to come into our possession. The processing of personal data is governed by the General Data Protection Regulations (GDPR). a) Those wishing to hire Adderbury Parish Institute via our Online Booking System. The majority of the personal information we hold is provided to us directly by those individuals wishing to book Adderbury Parish Institute. This is supplied via our online booking system. The information we collect is used as the basis of a contract between us and the individual booking Adderbury Parish Institute. It is also used to ensure that we comply with our legal obligations, to safeguard the institute Charity’s property and for accounting purposes (the collection of hire fees). Personal data will also be used to provide the necessary information to those hiring the Institute, to communicate relevant information about the Institute that we consider of interest to Institute users, and for the resolution of issues. For contractual purposes and one element of proof the individual is legally able to hire Adderbury Parish Institute. The key information used as a username when accessing our online bookings system. For the delivery of booking information, contracts and updates. For the delivery of invoices and reminders. 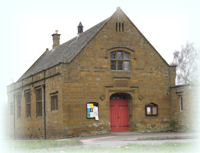 To communicate relevant information about the Adderbury Parish Institute. To ensure compliance with minimum age requirements for bookings and the sale of alcohol. If you send us a general contact message via our website we collect your name, email address and telephone number if order that we may respond to your enquiry. We do not retain this information. Generally, from all users of our website we collect statistical information and data to help us improve our website and ensure it remains suitable and safe for those using it. This includes items such as the user’s IP address and internet browser type and other information gathered by the Google Analytics system. 4. How we process personal data? We process the data we hold in order to create bookings to use Adderbury parish Institute for individuals or the organisations / businesses they legally represent. The personal data is also used to ensure effective communication in a timely manner in relation to bookings, the collection of payments and relevant Adderbury Parish Institute updates that may affect an individual. We work to ensure personal data is kept up to date, is stored securely and destroyed safely at the end of its relevant retention period. We ensure personal data is protected from loss, misuse, unauthorised access and disclosure by ensuring that appropriate technical measures are in place. In order to make a booking to use Adderbury Parish Institute an individual must supply the relevant personal information to form a legal contract with us. All our bookings are processed through our Online Booking system. In the first instance an individual may enquire as to the availability of Adderbury Parish Institute without submitting any personal data. In order to proceed with a booking the individual is (in the first instance) required to create an account with which the booking will become associated. The individual must also confirm they consent to this information being held and processed by Adderbury Parish Institute. We are committed to the protection of an individual’s personal information. Personal information is stored in secure digital online database system with access to the data restricted and controlled. This information is used for the day to day running of our bookings. Personal information (such as alcohol consent forms and health and safety forms) is stored in a secure online digital storage services provided by Dropbox and Microsoft. Access to this data restricted and controlled. Alcohol licence application – these forms are used to seek consent to sell alcohol during a booking. These are held securely by our Hall Manager and transferred to our secure digital systems as soon as possible before the paper form is destroyed. All personal data will be treated as strictly confidential. Personal information may be shared outside our charity in order to meet or enforce a legal obligation to, but not limited to, the relevant local authority and law enforcement. We will only share personal information to the extent needed for the purpose of our obligation. We will not sell personal information to any third party for the purposes of marketing. We will not transfer personal information outside of the UK. An individual’s full personal information is retained for a period of two full years following the completion of their last booking, or their account reaching a zero balance, whichever is the latter. After this a limited subset of information (such as name, email and bookings) are retained for accounting purposes for a further seven years. An individual has the right to object to how we process their personal information. They also have the right to access, correct, sometimes delete and restrict the personal information we use. In addition, they have the right to complain to us and to the data protection regulator. The right to be informed – a person has the right to know how their data will be used by Adderbury Parish Institute. The right to access personal data – a person can ask us to share with them the data we have about them. The right to rectification – a person must be able to update their data if it’s inaccurate or if something is missing. Individuals can view and edit their personal information directly via our online booking system. The right to erasure – a person has the right to request that we delete any personal data we have about them. There are some exceptions, for example, some information can be held for legal reasons. The right to restrict processing – if a person thinks there is something wrong with the data being held about them, or they aren’t sure if we are complying with the rules, they can restrict any further use of their data until the problem is resolved. The right to data portability – if a person asks us to we have to share their data with them in a way that can be read digitally – such as a pdf. The right to object – a person can object to the ways their data is being used. Rights in relation to automated decision making and profiling – this protects an individual in cases where decisions are being made about them based entirely on automated processes rather than by a human. For more information please contact our Data Processing Officer: dpo@adderburyinstitute.com. Google Analytics collects information about how visitors use our site. We use the information to compile reports and to help us improve the site. The cookies collect information in an anonymous form, including the number of visitors to the site, where visitors have come to the site from and the pages they visited. Click here for an overview of privacy at Google: https://policies.google.com/privacy. To exercise all relevant rights, queries or complaints please in the first instance contact our Data Processing Officer at Adderbury Parish Institute, The Green, Oxford Road, Adderbury, Banbury, OX17 3LU or email dpo@adderburyinstitute.com. You can contact the Information Commissioners Office on 0303 123 1113, email via https://ico.org.uk/global/contact-us/email/ or write to The Information Commissioner's Office, Wycliffe House, Water Lane, Wilmslow, Cheshire. SK9 5AF.